The public debate of the Central Link project is currently concentrated on the manner in which it will impact the tree population along its route. It is an important discussion because it is concentrating on one of the visible impacts of the project. The trees should definitely by protected and preferably increased in number. However the number of trees impacted is just an (important) detail. There are other “important details” which need to be considered, amongst which the agricultural land to be taken up, the emissions – which need to be reduced, in particular the minute particulate matter- as well as noise pollution. Little discussion has, however, ensued on the basic question: do we need the proposed improvement of the road network? To answer this basic issue, we need to consider the different options available to facilitate sustainable mobility around our islands. These are options that are available to each and every one of us, but do we make use of them? Why do we make use of private cars for very short distances? Are we aware of the fact that around 50 per cent of journeys in private cars on our roads are of under 15 minutes duration? To answer the basic question we cannot just focus on traffic congestion. Traffic congestion is, in reality, the effect and not the cause of our transport problems: it means that our roads are bursting at the seams. We need to consider the issue in depth and in a holistic manner. The National Transport Master Plan for the Maltese Islands does just that. When considering the proposals listed in the Master Plan, it is not a question of pick and choose: it is an integrated plan. Some of the proposals are easy to implement, others are tough as they strike at the real cause of our transport problems: our behaviour. Little effort is being expended in this direction. The operational objectives for road transport in the Master Plan place great emphasis on the need to reduce the role of the car in the busy congested urban areas as well as on the provision of alternatives to private vehicular demand in these areas. Unfortunately, instead of implementing these basic operational objectives Transport Malta is focusing on increasing the capacity of the road network in order to address traffic congestion. As a result, it is addressing the effects and ignoring the cause of the miserable state of our road network. Government’s policy of massive investment in the road network, will, in the long term, be counter-productive as it will only serve to increase the number of vehicles on our roads and, consequently, cause more congestion. Just throwing money at problems in the form of substantial subsidies of public transport is not as effective as we would like. The positive impacts of these and other subsidies are being cancelled out through the massive road network investment: a declaration that the private car is the preferred mode of transport of the policy maker. As a result, the clear message of Malta’s transport policy is that public transport is only tolerated as life is only made easy for the users of private vehicles. It should, in fact, be the other way around. The National Transport Master Plan clearly emphasises that the lack of importance given to long-term planning means that a long-term integrated plan based on solid analysis with clear objectives and targets is lacking. This has resulted in the lack of strategic direction and the inherent inability to address difficult issues such as private vehicle restraint. It is about time that the government starts implementing its own Master Plan which so far it has consistently ignored. Considering the Delimara power station extension in terms of the integrated pollution prevention and control application, the Malta Environment and Planning Authority asked Enemalta to submit an economic study on the different fuels that could be used. With a working language in euros, the study inevitably ends up considering whether preventing or reversing air quality degradation is, in fact, feasible due to the costs involved. I am being crude but that is basically what it entails. It has been explained elsewhere that opting for gas oil instead of heavy fuel oil (HFO) will result in 37.75 per cent lower emissions of PM2.5 (particulate matter having up to 2.5 microns diameter). Cubed Consultants Limited, author of the Delimara cost benefit analysis, recognises that gas oil has a better emissions performance than HFO. It arrives at this conclusion notwithstanding the incomplete information at its disposal, which information ignores a number of significant HFO emissions. Cubed Consultants Limited concludes that there is an immediately apparent trade-off between low financial costs and high emission costs: they balance each other out! This may be so in the context of the economic philosophy adopted by Enemalta’s consultants but in the real world things work out differently. The high emission costs are billed elsewhere. The health account foots part of the bill shouldering higher expenses for health care in general and respiratory ailments in particular. The quality of life account foots the rest of the bill. As a result of opting for lower fuel expenses the higher emissions produced will affect residents in the areas impacted. The varying impacts on their health will reduce their quality of life. Residents in neighbouring areas will also share the effects of the lower air quality. One of the documents submitted to Mepa by the Marsaxlokk, Birżebbuġa and Żejtun local councils in reply to Enemalta’s IPPC submissions is authored by medical doctor Jason Bonnici and deals with the health effects of air pollution. Dr Bonnici refers to studies carried out in Atlanta, US in 1996 both before and after the Olympic Games. As a result of measures taken to reduce air pollution during the three weeks of the Games, various indicators (ozone, NO2, carbon monoxide, PM10…) registered a substantial decrease. PM10 (particulate matter up to 10 microns diameter) for example, registered a 16 per cent decrease over the pre-Games levels. 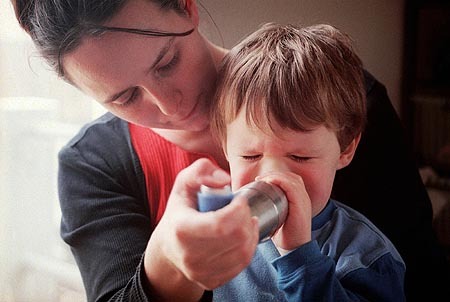 As a result, Atlanta achieved a 40 per cent reduction of consultations in medical practices for asthma in children and a decline of between 11 and 19 per cent of asthma-related visits to emergency departments. In Beijing, during the 2008 Olympic Games, similar efforts to reduce pollution resulted in a reduction of 31 per cent in PM2.5 and 35 per cent in PM10 concentrations. Results on the impacts of this achievement on health are not yet available. Faced with this information, it is clear that the generation of air pollution through the use of HFO comes at a heavy health and environmental cost. No amount of economic benefit may balance out the reduction in the quality of life of those whose health is impaired. That is if they live on, as studies quoted by Dr Bonnici indicate an increased death rate in areas that experience the impact of high level PM2.5 and PM10 emissions. Now, the PM2.5 and PM10 emissions measured by Mepa at Birżebbuġa and Marsaxlokk in April and May 2011 are already very high. Average PM2.5 daily readings measured 52.50μg/m3 at Marsaxlokk and 34.70μg/m3 at Birżebbuġa in contrast with the EU mandatory target value of 25μg/m3. On the other hand, average PM10 daily readings measured 54.10μg/m3 at Marsa­xlokk and 70μg/m3 at Birżebbuġa. The EU mandatory daily average is of 50μg/m3. Faced with this reality, Mepa should feel in duty bound to ensure that the fuel option with the least impacts is selected. It is gas oil that pollutes the least and, hence, it presents the minimum of environmental and health impacts. There is one further point that Edward Mallia has illustrated time and again. The cost to produce a unit of electricity at the Delimara extension making use of gas oil as a fuel is cheaper than what it presently costs at the Marsa power station using HFO. In the local councils’ documents presented to Mepa, Prof. Mallia and engineer Arthur Ciantar present the workings proving that it is not correct to state that using gas oil instead of HFO would lead to higher electricity bills. Reducing health and environmental issues to prices and incremental costs or savings tends to lead to a situation of knowing the price of everything but the value of nothing, particularly the value of human life. Euros are not a suitable tool to measure the value of human life, health, the quality of life and the environment. The ball is now in Mepa’s court. In the next few weeks, we will be able to comprehend the extent to which human life, health, quality of life and environmental issues are factored in (if at all) when important decisions are taken by Mepa. Enemalta decided to use heavy fuel oil at the Delimara power station extension during the tendering process for the power generating plant. The installed equipment, however, can function through the use of either HFO or gas oil. The former is a heavy polluter, the latter polluting substantially less. Pollution in the Marsaxlokk Bay area affects Marsaxlokk, Birżebbuġa and Żejtun. It is made up of accumulated emissions from Marsa and Delimara power stations, land transport and emissions from air traffic in the flight path over Birżebbuġa prior to landing. The Malta Environment and Planning Authority has concluded public consultation on Enemalta’s integrated pollution prevention and control application to operate the Delimara power station extension. During this consultation, Mepa released an air dispersion modelling report it commissioned. Authored by Maltese consultants Ecoserve Ltd with their Austrian partners, the report is dated August 2011. The report applies a range of numerical simulation models for air quality impact assessment to the Delimara power station and its extension in a domain around the plant. The Ecoserve report, utilising emission data supplied by Enemalta, concludes that present accumulated emissions in the Marsa­xlokk Bay area are well within the limits of the EU Clean Air Directive. It then goes on to simulate the emissions when the Delimara extension starts functioning and the Marsa power station is switched off. Now this conclusion contrasts with other information contained in the study. Limiting myself to particulate matter, data collected over a four-week period by Mepa and reproduced in the Ecoserve study shows that in the period under the spotlight particulate matter present in the air at Marsaxlokk and Birżebbuġa was well in excess of permissible limits in terms of the EU Air Quality Directive. Average PM2.5 daily readings measured 52.50 μg/m3 at Marsaxlokk and 34.7 μg/m3 at Birżebbuġa whereas maximum readings were 149 μg/m3 at Marsaxlokk and 61 μg/m3 at Birżebbuġa. This contrasts with the target value of 25 μg/m3 for PM2.5, which is mandatory in terms of the EU Air Quality Directive. This means an average reading of 210 per cent of the EU limits for Marsaxlokk and 139 per cent for Birżebbuġa. On the other hand, average PM10 readings measured 54.10 μg/m3 for Marsaxlokk and 70 μg/m3 for Birżebbuġa while maximum readings were 154 μg/m3 at Marsaxlokk and 250 μg/m3 at Birżebbuġa. This contrasts with the limit value of 50 μg/m3 (daily average) that is mandatory in terms of the EU Air Quality Directive. This means an average reading of eight per cent above the EU limits for Marsaxlokk and 40 per cent above EU limits for Birżebbuġa. In contrast, the simulation exercise “assuming the worst case scenario meteorology for 2010” concludes an annual average of 12.1 μg/m3 of PM10 with just four cases when the EU limit is exceeded! As the EU directive permits exceedances on not more than 35 occasions, the simulation exercise concludes that all would be fine at Marsaxlokk Bay. The Ecoserve study does not explain how this discrepancy between the conclusions of the simulation exercise and the Mepa actual readings in Marsaxlokk and Birżebbuġa is to be interpreted. Both Mepa and its contractor, Ecoserve Ltd, have a lot of explaining to do. Mepa also has a duty to explain why the request by local councils for a long-term air monitoring exercise at Marsaxlokk and Birżebbuġa was not acted upon. Having data covering a longer time frame would lead to more robust conclusions relative to air quality at Marsaxlokk Bay. As things stand, having a contrast between simulated and real-life data, I would not hesitate one second to give more weight to the data actually measured. As to the projections into the future they simply cannot be relied upon. Particulate matter present in the air gives rise to various issues of health. These fine particles originate primarily through the combustion of fuels, their chemical composition depending on the fuel from which they originate. The coarser particles when inhaled by humans lodge in the upper respiratory tract while the finer ones deposit themselves inside the lungs and are absorbed into the bloodstream causing a multitude of health problems. 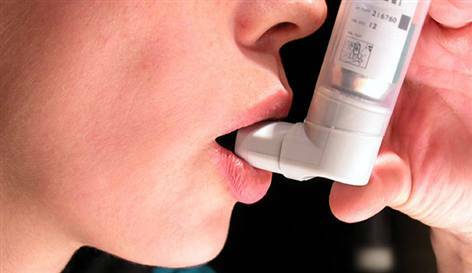 As indicated by various studies, the excessive presence of particulate matter in the air is one of the causes of various respiratory ailments notably asthma, the incidence of which, according to medical general practitioners in the area, has been rising considerably in the Marsaxlokk Bay area over the past years. In view of the above, it is clear that the choice of fuel on which the Delimara power station extension is run will contribute significantly to air quality in the Marsaxlokk Bay area. Use of HFO will take our breath away as it would increase the emission of particulate matter. Using gas oil, on the other hand, would ensure lower emissions and give the opportunity of breathing cleaner air to the community residing around the Marsaxlokk Bay. The publication of the State of the Environment Report (SoER) for 2008 is an opportunity to take stock of the manner in which environmental responsibilities are being shouldered or neglected. One point the SoER fails to inform about is the link between overdevelopment and a negative social and environmental impact on the community. Tigné peninsula in Sliema is a suitable example. Two of the mega-projects in Tigné, namely the Midi and Fort Cambridge projects, have government fingerprints. 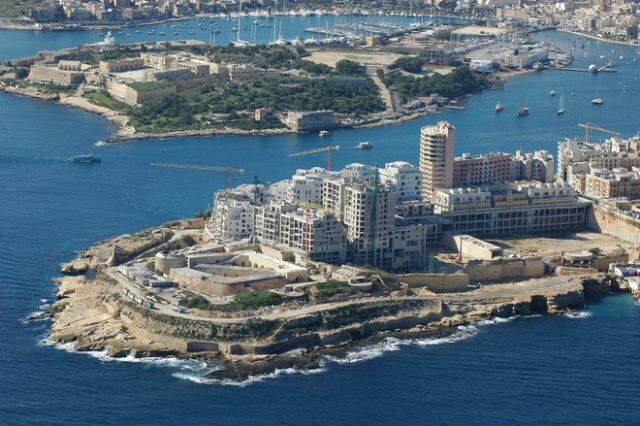 The social and environmental impacts on the Sliema community more than outweigh the economic benefits derived. Yet, they have been given the go-ahead. While these two mega-projects were approved by Mepa, a third (Townsquare) is being processed. Other projects of various sizes and impacts have been approved or are in the pipeline both in Tigné and in other parts of Sliema. Focusing on the macro-scale, three main issues need to be addressed: vacant dwellings, traffic generation and the quality of air. In my opinion, given the large number of vacant dwellings, further large-scale development is not required. About 54,000 vacant dwellings were identified during the 2005 census and this number has been on the increase ever since. Newly-constructed dwellings may or will be occupied but they are still the cause of a disintegration of the existing urban fabric in various localities as a result of an internal migration away from existing settlements. Some areas are being depopulated, awaiting their turn to be demolished and redeveloped after someone makes a quick buck. The few remaining tenants are then squeezed out by “developers”. Some years back, an old lady at The Strand, Sliema, was faced with buildings being demolished all around (and above) her home in order to persuade her to move out. This is resulting not just in urban decay but also in the forfeiture of an accumulated social capital. This is not surprising in a society that only appreciates financial capital. Unfortunately, public authorities are on the same wavelength. The 710 vehicles on the road per 1,000 population (2008 figures) is substantial. In a small country, rather than being a sign of affluence, this vehicle per capita ratio is the clearest indicator of the failure of public policy to address issues of sustainable mobility over the years. Past governments have been ineffective in this respect. The large number of dwellings being constructed at Tigné peninsula begs the question as to where the substantial additional traffic generated is to be accommodated. I am referring to both the traffic directed at the new residences and that directed towards the new commercial outlets. Roads in Malta are already bursting at the seams. When Mepa is approving more intensive development through the construction of high-rise buildings, it is not giving sufficient weight to these impacts. In particular, it is ignoring the cumulative effects of so large a number of developments in so restricted a space. A Strategic Environment Assessment (SEA) of the local plans and planning policies would have pinpointed these shortcomings had it been carried out. Yet, the government tried to wriggle out of its responsibilities by clinging to a loophole, which exempted it from applying the SEA to policies on land-use planning. This has been done by a government that boasts about the central importance of the environment in its electoral platform. Yet, when push comes to shove, it wriggles out of its commitments. Quality of air data is only made available relative to 2006 and 2007 in the SoER indicators. Limiting my comments to the 2007 data relative to the Msida station, the available SoER indicators clearly show that PM10 measurements exceeded the EU limits on 24 per cent of the days measured and were very close to the permissible limit of 50μg/m3 with respect to the rest. PM10 measures particulate matter, having a diameter not exceeding 10 microns. The primary source of such particulate matter, as is also emphasised by the SoER indicators, is fuel combustion from traffic and power generation. It is therefore clear that heavy traffic increases the incidence of PM10 with the consequent risks of a greater incidence of respiratory diseases. Studies carried out in Fgura and Żejtun in the 1990s point in this direction too. These are the risks posed by an increase in traffic in an area such as Sliema, which is already heavily congested. The issue of development has so far been considered within the framework of the rights of the owners of the property to be developed. It is about time that the rights of the community are factored in as, to date, they are not being given sufficient weight. In particular, the cumulative impacts of development are being ignored. This is applicable not just to Sliema but to all Maltese territory. The net result is a quality of life which could be much better.